I don’t know why but I have a huge fascination with American packet mixes, maybe it’s because my mother doesn’t use things like that ( heaven forbid) or the fact that they are from America which to me at least still has an alluring otherness, mixed with something a little seedy but I am always intrigued by them. Living in an area with a reasonable number of Americans, some local shops have an American food shelf or isle means from time to time I end up buying something I don’t really need for the hell of it. 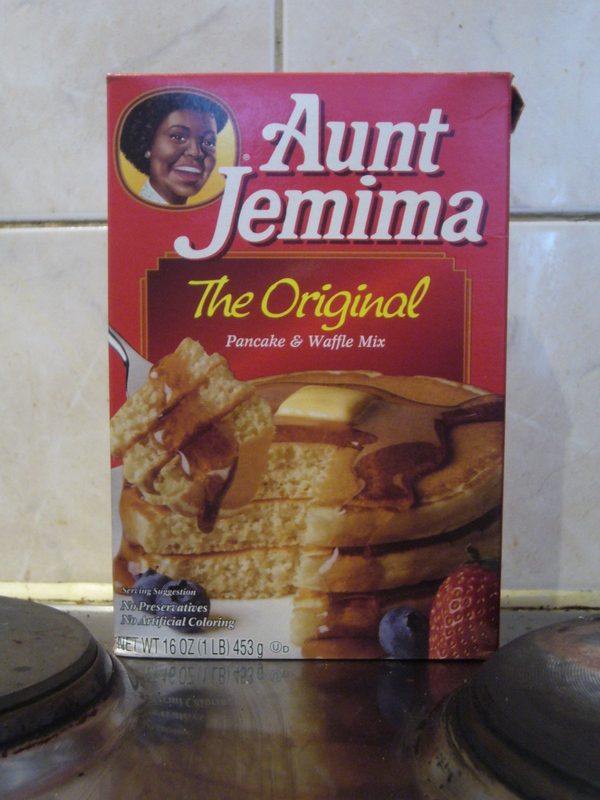 Take Aunt Jemima pancake mix. Pancakes are easy to make and I don’t think making up the mix from a packet is any quicker really. 1 cup of dry mix, 3/4 cup of milk 1 tbsp of oil and 1 egg, mix and leave to thicken. Pour 1/4 cup into a pan and turn when the batter begins to bubble. 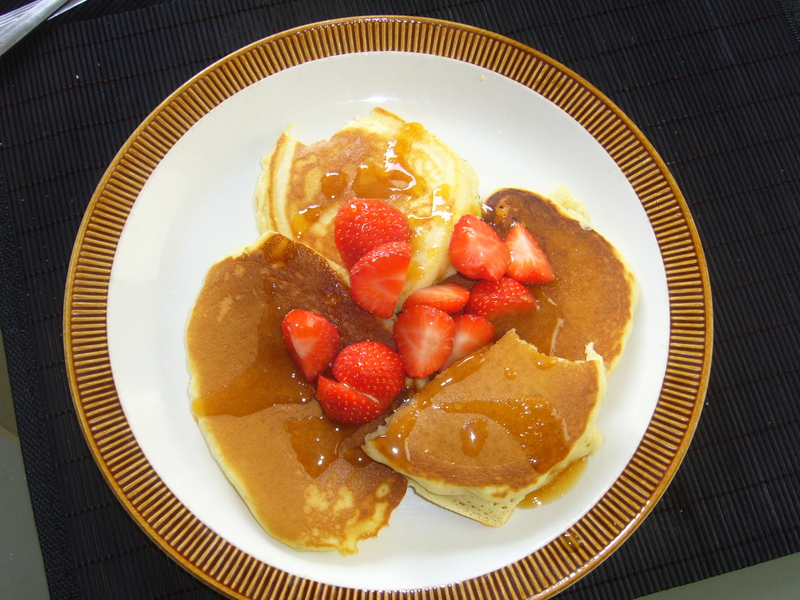 The pancakes were larger than I expected, with a dry fluffy middle and a not quite salty not quite sweet taste until covered in agave syrup and strawberries, yum. Something to chew over with your breakfast!